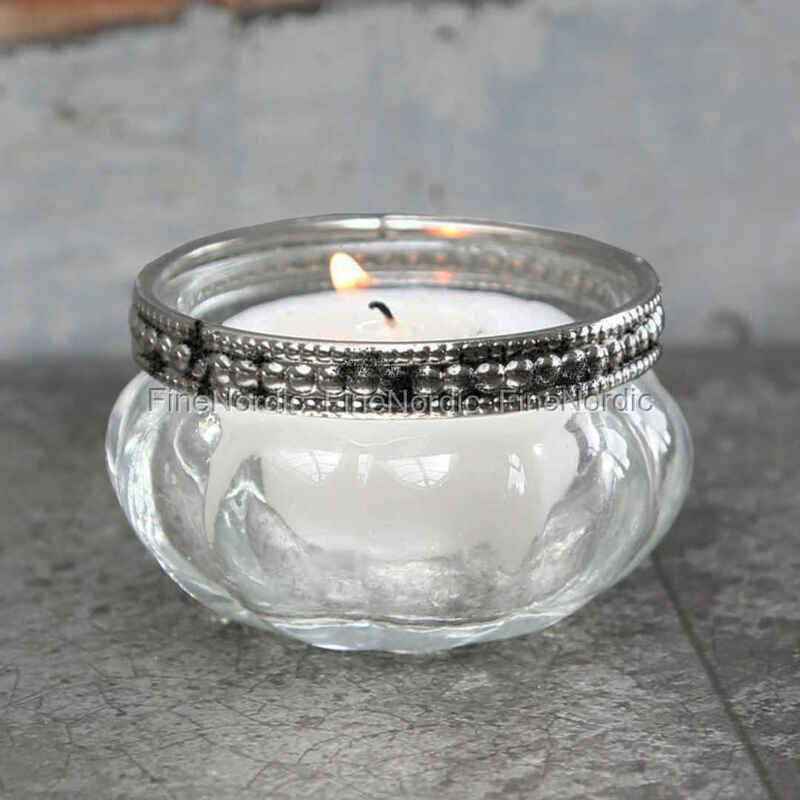 The tealight holder with pearl edge by Chic Antique provides a cozy atmosphere, and that not only in the winter time. The pot-bellied glass is decorated along the top with a silvery shiny pearl edge and both are in nice contrast with each other. The tealight holder adorns the windowsill as well as the living room table or the shelf. An attractive home accessory by Chic Antique, which offers an extra dose of feel-good vibes throughout the year. The handsome tea holder is also ideal as a hostess gift or as a surprise for a loved one.